Thinc Projects just launched their new careers site, with the help of the people at Zojo. They were after a job board plugin, and after evaluating other options, came to the conclusion that Job Manager was the obvious choice. I found Job Manager easy to work with from day one, I appreciated the way it works straight out-of-the-box and I knew my client would understand it straight away upon handover. This allowed me to set up my fields and pages as required with full knowledge that everything was working and all I had to do was apply my design. Customizing the form layout to the final design was easy. Using CSS, I was able to style and add classes to my liking by adding code into the page templates as I required them. From a developers view point I was able to customise the layout and fields according to my heart’s content (or my clients’ I should say). While evaluating other options, nothing came close in terms of freedom of options, customisation and support. 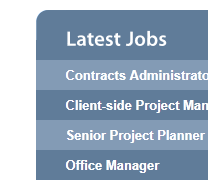 So there you have it – download Job Manager, you can easily create a job board for your company! I am so eager to use this on my company’s site! We need the capability for outside users to post job openings, and last I heard that was still coming. As soon as it’s there we are ‘sold’! Thanks for this great product! We wanted to use the Job Manager plugin to list Scholarships on our high school website. http://blogit.cityschools.com/jmcounseling/jobs/ But we need to change the text – can you tell me were i can change the text from “Salary” to Amount – and “Job Information” to Scholarships Information? 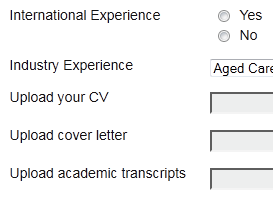 You can make this change by opening your wp-admin, and going to Job Manager->Settings->Job Form Settings, then changing the text in the Field Label boxes. HI i was new to wordpress jobmanager i created application form for user to send the applications.i did get any option to edit the application form once the use logged in and complted the application form saved second time he logged in i need to redirect the user toedit application form with the details user entered.how can i do the edit application form in user end.